Still living on 5 acres in the country but close enough to the city and loving it. My husband still works and owns a business but takes more time to himself now and we often take off and take spur of the moment trips. Im a beach lover and he loves to golf so it all works out. Gambling is my hobby and i hav to say i do quite well at it. We still hav fun together after all these years and still go to rock concerts. just saw the Who in Atlantic City on Memorial Day. Yeah i guess u can say i just never grew up. Diane Frender Lennon changed profile picture. Diane Frender Lennon has a birthday today. 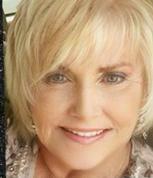 Diane Frender Lennon updated profile. View.